12/27/2018: Completed Book Task! 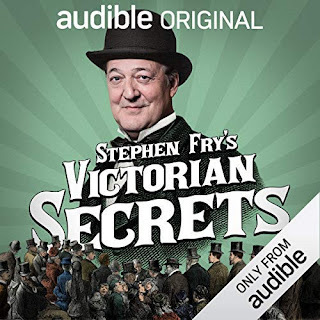 Finished listening to Stephen Fry's Victorian Secrets audible production. 5 points total for this door! 11/20/18: Whelp! Four tasks down in one go! Book task still in the works, but more than likely selected! Make two “prophesies” you think will come to fruition in 2019 in your personal or reading life. Hmm... this is a hard one. The truth is, the easiest "prophesy" I can make is certainly predicting that I will read at least 100 books next year, since I've been able to do so each year for the past few years. But that would feel like a cop-out. Even prophesying that I will participate in Halloween Bingo 2019 or the next Festive Tasks is a given. 1. My first prophesy is a personal one: I will finally clean out my closet (work in progress since 2010) and get rid of anything I don't need anymore, and creating a more clutter free environment... in which I will probably promptly start adding more clutter to given enough time. Much like my bookshelves, that will also go through a purging of books I've read and don't want to keep, which will get donated to the nearest library, so that I can make more room for the new bag of books I will undoubtedly end up buying from a library book sale a la "Stuff a tote full of books for $5." 2. My second prophesy is a reading one... which was actually unintentionally mentioned in the previous prophesy, in the line of cleaning out my shelves of books I don't wish to keep. Truthfully, I should really be prophesying that I will manage to read more of the books I already own on my digital and physical shelves rather than purchasing more... but we know that's not going to happen. 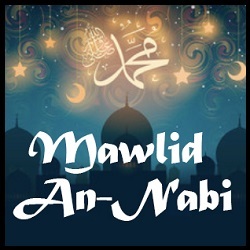 The Five Pillars of Islam include almsgiving and the pilgrimage to Mekka. Tell us: Have you ever donated books or rescued them from (horror of horrors) being trashed? Alternatively: Is there a book-related place that is a place of pilgrimage to you? In line with the above prophesy task, I try to do a purge of my physical book shelves every few months when they start getting too full to hold any more books. The books that get removed end up in a tote bag, as part of a pile of books to donate, either to the local library, Goodwill stores, or any other place that may accept old, used books. I've done this a couple times in the past, donated once to the library and once to a Goodwill store. There are also some other used book stores around town that will take donated books, but the library is usually my go to for donating books I don't want to keep. Prophets are messengers. Tell us: Which book characters are your favorite messengers (no matter whether humans, angels, (demi)gods, etc.)? The truth is, even before looking through my shelves, the first book character I thought of as a messenger was Hedwig, Harry Potter's snowy white messenger owl. The second messenger I thought of was the red enveloped exploding Howlers... but I'm not sure if those count, cause they're the actual messages. 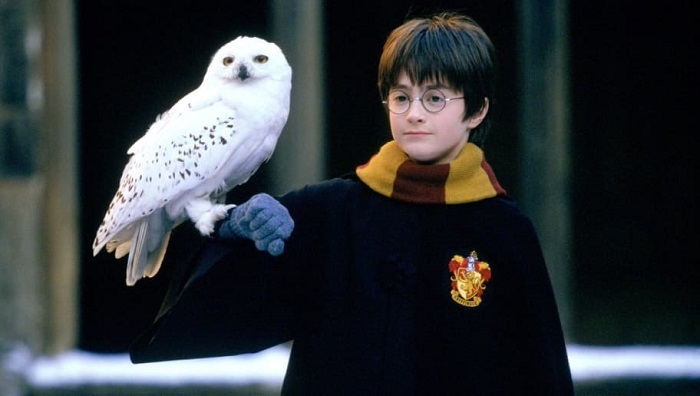 So I'm probably just going to stick with Hedwig, as well as the rest of the message carrying owls of the Harry Potter world. A second place would be the Ponies featured in The Others who deliver mail to the resident Others of the Lakeside Community after Meg sorts mail into their baskets. They don't play that big of a part as messengers, and in fact, the Crowgard are probably more in line with messengers, delivering news to all the Others quickly and readily. But I liked the Ponies more than the Crowgard. 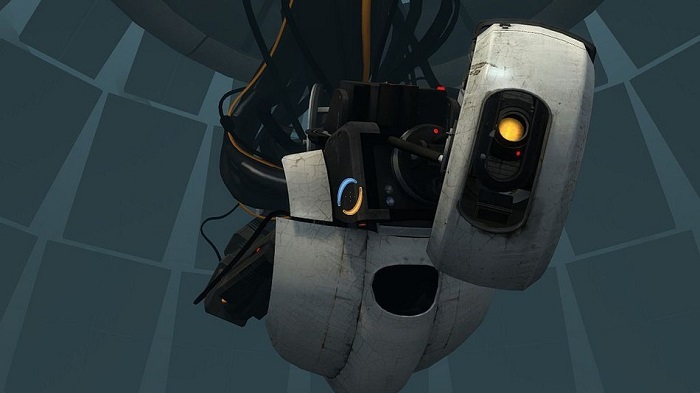 Finally, as a featured Honorable Mention--mainly because I don't know if she actually counts as a messenger, but she gives guidance to you as a player via intercom messages, I'm listing GLaDOS, from the video game Portal. And yes, Portal is a video game, not a book, but I figured that as the Honorable Mention in my list, I can have some leeway, having already listed two other sets of book characters who serve as messengers... sort of. Muhammad was a merchant before becoming a religious leader. List 5 books on your shelves in which a key character makes / undergoes a radical career change. 1. 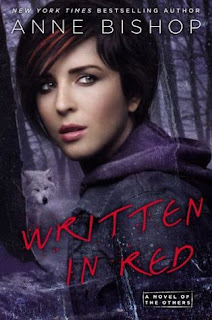 Written in Red by Anne Bishop / Meg Corbin -- blood prophet to mail sorter? If you can find a copy, read Kahlil Gibran’s The Prophet. Or read any book about a leader of a movement, nation, religion or large group, OR read a book with a green cover OR with a half moon on the cover. 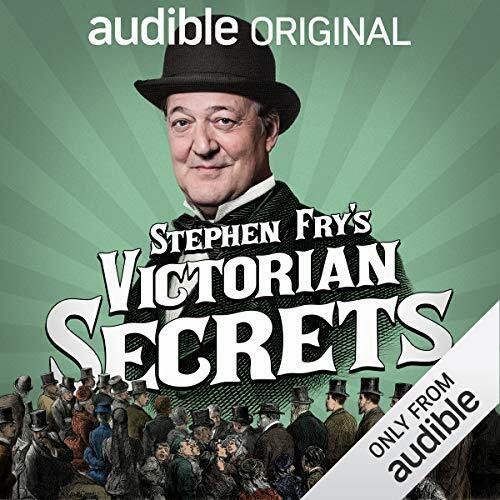 So I chose to just finish listening to Stephen Fry's Victorian Secrets because I figured I'd have a better chance of finishing it over the other books I'd thought to read. Green cover--check! And interesting presentation, this certainly was, though I'm not quite sure how to take it. A review will be coming soon.